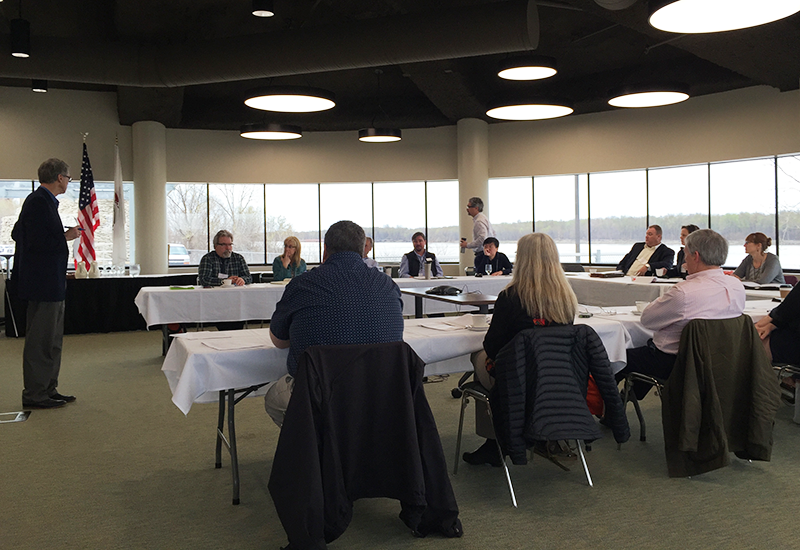 On March 29-30, 2016, in cooperation with the Cooperative Ecosystem Study Unit (CESU) Program, The Horinko Group helped to organize a scoping roundtable of CESU Directors and member institutions to discuss the potential for a Great Lakes, Rivers, and Gulf Inter-Unit (GLRG) Research Consortium. Hosted at the National Great Rivers Research and Education Center near the confluence of the Mississippi, Missouri, and Illinois Rivers in East Alton, IL, the purpose of the scoping effort was to identify pathways to optimize collaboration on complex system-scale challenges and reveal an institutional arrangement and integrative synergy in support of Federal Agencies whose missions and programs contribute to informed policy and management of our nation’s most critical and iconic large aquatic ecosystems. In preparation for the scoping roundtable, a foundational document was developed to elaborate the Consortium concept, its focus, and mission. To download the foundational document, click here. To download the proceedings from the scoping effort, click here. To advance the Consortium scoping discussion, THG Senior Advisor Patrick McGinnis participated in a follow-up session focused on landscape-scale partnerships at the 2016 CESU Network Biennial National Meeting on June 16 at the National Conservation Training Center in Shepherdstown, WV. “CESU is an under-optimized research tool that has proven itself over and over. Making more federal managers aware of its capacity and its ability to build eco-regional knowledge platforms that can drive efficiency and effectiveness in natural resource decision making is crucial,” says McGinnis. Representatives from different CESUs shared lessons from regional efforts and discussed potential next steps for positioning CESUs to add value to regional science, stewardship, governance, and policy activities.